I really liked this hostel, good location, nice common areas. I really liked the staff, since I got there, they make me fill as home. 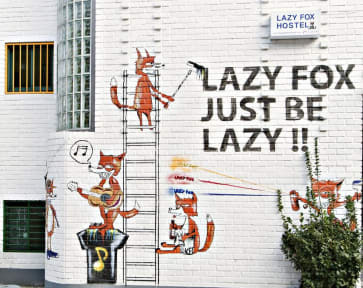 I will definitely return to this hostel. Muy buen Hostal si vienes a Seoul tienes que quedarte aquí el staff es bueno, tienen buen ambiente y esta muy bien ubicado. That is maybe one of the best hostels I've ever stayed in. It's the social and familiar vibe that makes this place so special. Nice mix of locals and travelers. Good knowledge about Seoul and Korea. All well maintained and cleaned daily. Good restaurants, shops, the metro and busy Hongdae are at walking distance. Just across the street you get some great espresso. I was sad to leave and hope to return to those lovely people one day. Everyone is super fun to go out with and hang out but no one seems to know anything about seoul outside of partying. Great place to find people to go out with though. Clean enough except the pillows which don't get replaced or covered overall good.